The staff shooters listed below with their email addresses are those that are willing to meet with you to show you their Concept bow. If a staff shooter is in your area and you are interested in meeting with them, please send them an email; be sure to include a subject to your email such as "I would like to see your Concept Bow". 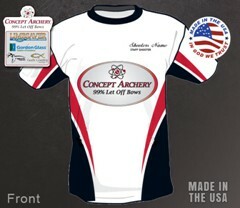 Concept's staff shooter program offers $150.00 in Concept Cash for any bow that a staff shooter sells - whether to a friend or stranger, we just need them to mention your name. 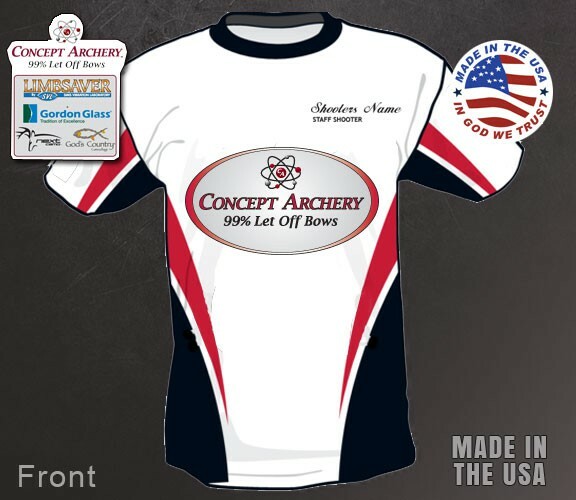 Concept Cash can be used on any item sold in our online store or towards a new bow purchase. Staff Shooters automatically get $150 off of any new bow purchase without any Concept Cash credit earned. For $25, Concept Archery will supply you with staff shooter business cards with your name and contact information to help you generate sales. Staff shooters also receive discounts on new strings and cables, FREE shop service, and other product discounts. All staff shooters must fill out the above Staff Shooter Application, and based on your achievements and/or associations. We require very little of our staff shooters, though we strongly believe in "one hand washes the other" and for those willing to help us, we're willing to help you. We are looking forward to a long lasting relationship, and wishing you the best of success. These custom, USA made, Staff Shooter Shirts are made by G2 Gemini - a leader in outdoor tournament jerseys. The Intera® Fabric is wear resistant, anti-microbial, breathable and wicks moisture away from the body. 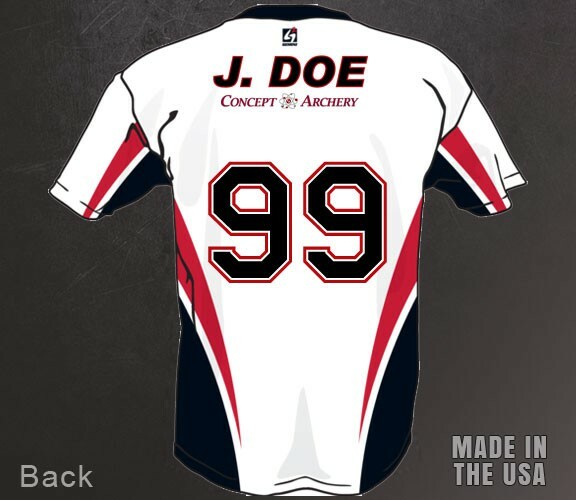 These custom, high quality shirts can only be ordered by phone for each shirt will be customized with our staff shooters name on the front and back. Approximate cost is $85.00 including shipping with a 3-4 week turn around time.